This paper focuses on the so far unknown Tuscan vernacular translation of Angela of Foligno’s Liber transmitted by the ms. Magl. XXXVIII.122 of the Biblioteca Nazionale Centrale of Florence (= F), dated 1408. 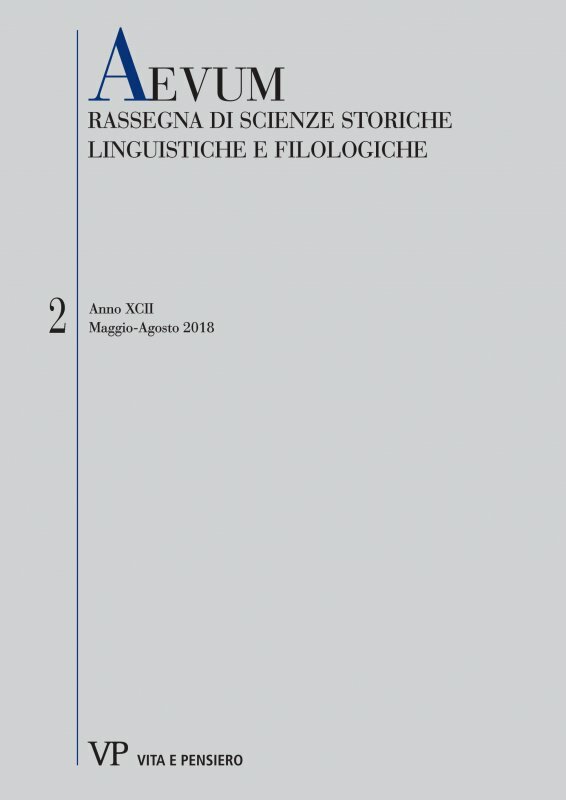 The essay is divided into three parts: the first reviews the particularly rich and multifaceted Latin and vernacular manuscript tradition of the Liber; the second deals with the translation transmitted by F, wich is almost complete and quite faithful to the Latin original, comparing it to the other Italian vernacular translations; the third proposes a codicological and paleographic description of F.
Angela of Foligno, Liber, Memoriale, Instructiones, women visionaries, mystical experience, vernacular translations.